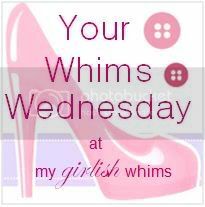 I had two pairs of jeans that I loved- they were so comfortable! I wore them a lot- until they both had holes in the knees.. which wasn't really the look I was going for. 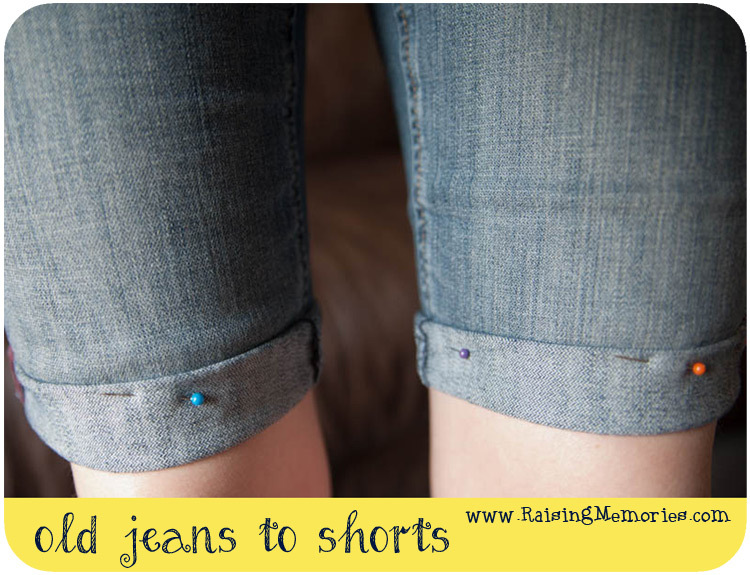 So when my mom and I got an afternoon to ourselves, we set out to turn those old holey jeans into shorts! 1. 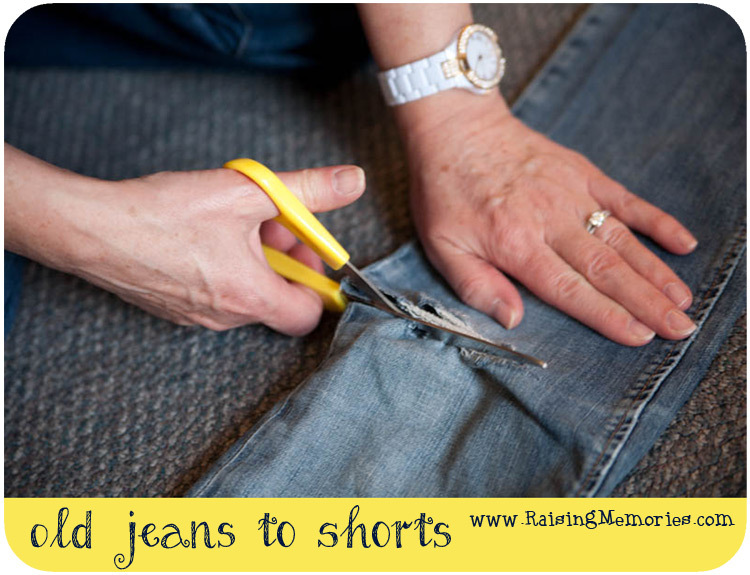 Start by cutting the jeans just above the hole. 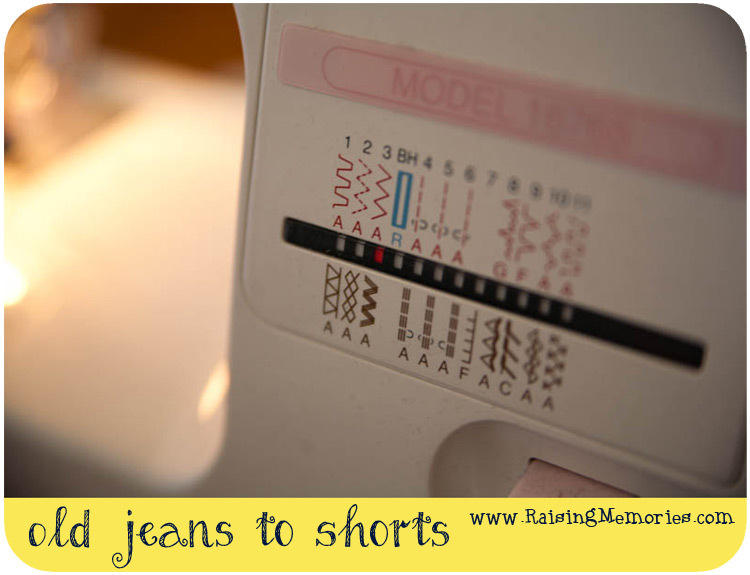 Then try them on and figure out how long you want them to be, how much of a roll you want at the end (if you want a roll), and trim your first pant leg. 2. 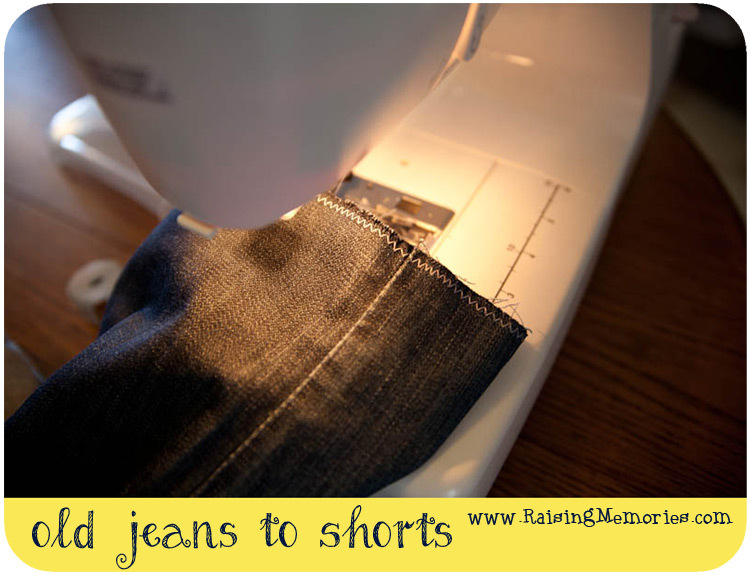 Carefully line up your jeans and use the first pant leg as a guide for the second. 3. Choose the zigzag setting on your machine. 4. Sew along the cut edges to prevent fraying. 5. Try the jeans on, roll them the way you want them and pin them. 6. You can machine or hand sew up & down along the inside and outside edges of each pant leg (near the seam), just along the fold, to keep the folds in place. 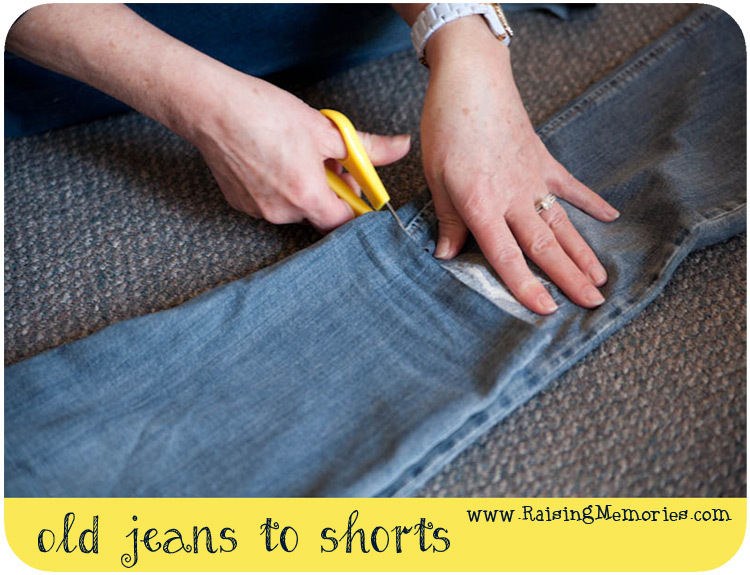 (Or you can skip this step & if your shorts unroll at the bottom, just re-roll them). I hope this tutorial is helpful to you if you'd like to try the same thing on your pants, or on your kids'! 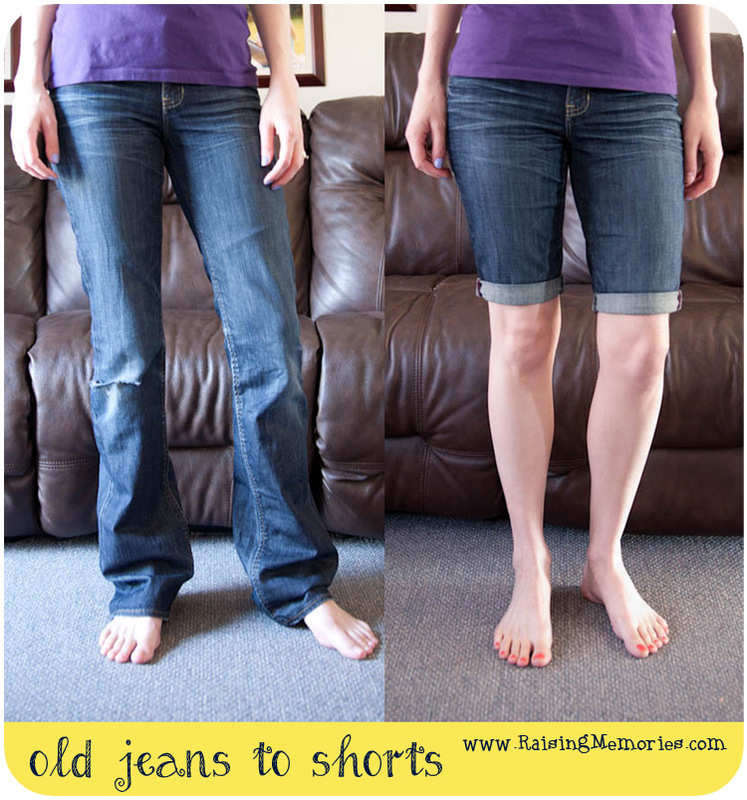 I really like this idea because it's so hard to find jeans that fit you well and then you end of wearing them out! Great way to re-purpose them and get more mileage. Plus you can really tailor them to your length liking. Great tip with the zig zag sew to keep from fraying. Wouldn't have thought to do that. Great timing for this post. My daughter has a pair of jeans that she loves, but they are too short now. I wanted to make them into capris or shorts for her.